Born in Japan, Noriko Terada originally started her musical life with the piano at her age of 3. Later at the age of 11, she began playing the percussion which she quickly fell in love with. 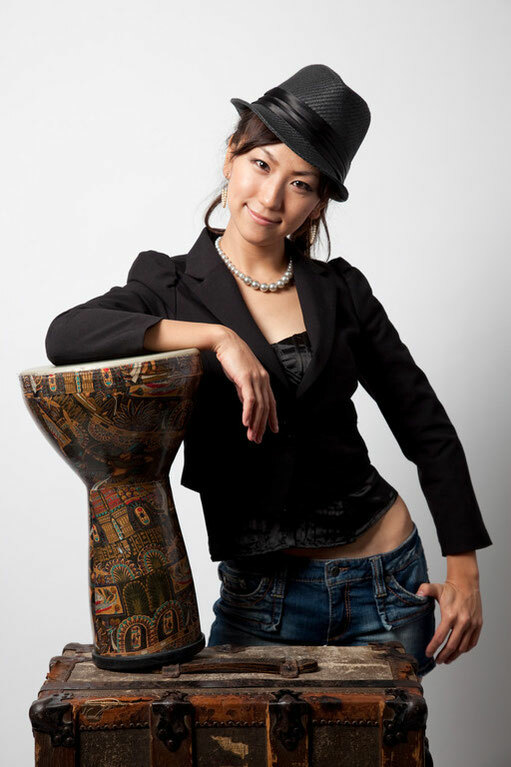 Noriko Terada is internationally known for her percussion recordings with hugely popular video game series,Final Fantasy XV, Final Fantasy XIII-3 Lightning Returns by Square Enix. As a multi-percussionist, she has performed at numerous famous venues and festivals/conventions including Carnegie Hall, The Kennedy center, Blue Note NY, Montreal Jazz Festival, TED Talks, PAX EAST, Jazz Festival, Anime Central, Anime Next. She joined multi award-winning group called TAP DOGS in October 2012. She has been touring with them in Australia, Paris, Hong Kong, Singapore, China, Macau, Germany and Dubai. Noriko has had numerous high-profile TV appearances, including being featured with Tap Dogs in the CCTV (Predominant State TV in China) entertainment TV program “CCTV New Year's Global Gala 2015”, in ZDF (German-public service TV broadcaster) Summer entertainment festival “ZDF Fernsehgarten”, as well as in the French public national TV channel France 2, “Le Plus Grand Cabaret Du Mondo”. In Japan, she has been featured in the documentary “Rising Artist” from NHK World and most recently, she has been featured in“Dirty Water”produced by Boston's New England Sports Network (NESN). After graduating at Berklee College of Music, Noriko has shown a great deal of versatility in musical styles including Theater Musical, Jazz, World music, Afro-Brazilian music, Pop/R&B and Classical. She was heavily involved in various bands on the east coast and performed/shared stage with numerous Grammy Award-winning artists such as Anjelique Kidjo, Oscar Stagnaro and Don Was. Also corroborated with many top artists such as Alan silvestri (composer for “Back to the Future”, “Forrest Gump”), Jorge Drexler, Jamey Haddad (Percussionist for Paul Simon), John Weston (Producer for Beyonce, Shakira, Yo-Yo-Ma), Kenwood Dennard (Drummer for Miles Davis), Emily Elbert ( Singer for Esperanza Spalding). She also worked as an accompanist for modern dancers at Boston Ballet, Boston Conservatory and Prometheus Dance. She currently lives in LA, USA.